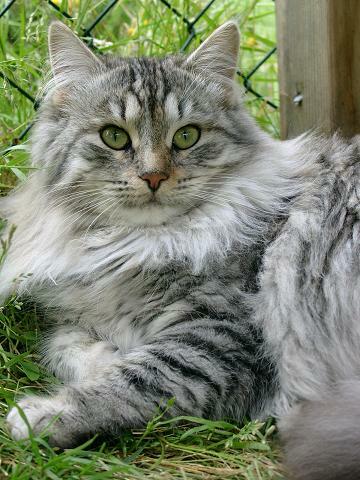 I was first introduced to the Siberian cat by a judge from Russia and this led me to where we are today. 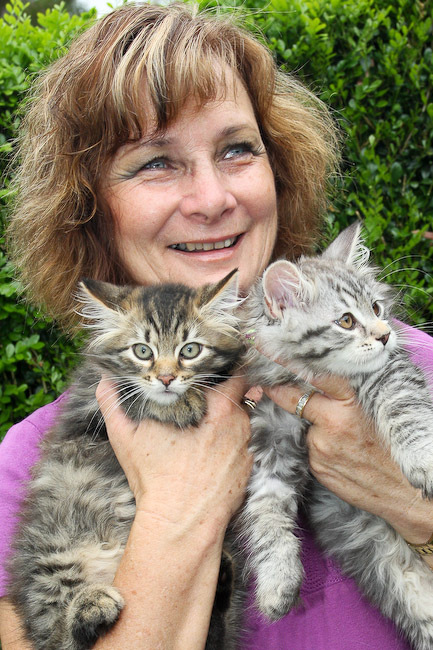 Showing and breeding with the aim to better what we began with is my ultimate goal and along the way we have introduced many pet owners to this wonderful breed of cat. 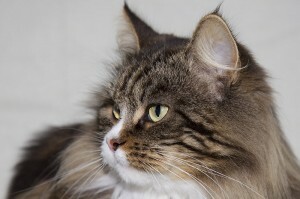 Years of meticulous selection for the betterment of our cats is shown by what is now reflected in my breeding and show cats which you will see on our Kings and Queens pages on our website. 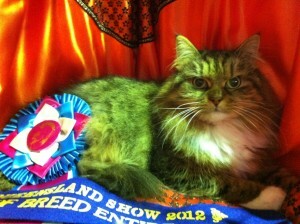 The temperament of our Siberians we are now breeding is outstanding with many now returning outstanding results on the show bench and this is reflected in the winning of many top awards. 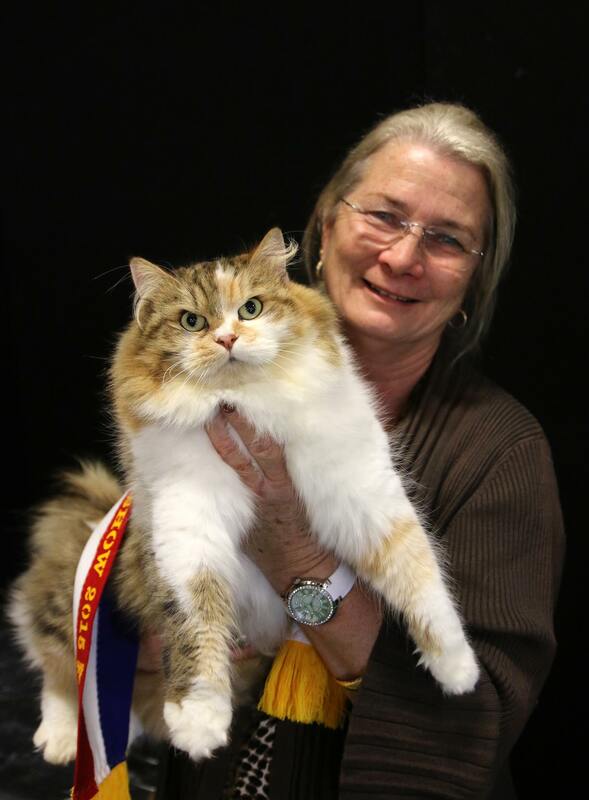 Since our years of involvement with the Siberian cats and the progress in Australia I have been the leader in introducing our new breeders to this wonderful cat and the cats they now own are a testament to this. All of our cats are handled with great love and attention and this is reflected in the temperament of all the babies I place with new families. I am always available to talk to the families and love to hear how that the new special little member of their family has changed their lives for the better. High on our list of priorities is to be able to help as many families as possible become owners of a Siberian and if allergies are an issue we will work with you to help you test with either a pet owner in your area or with one of my cats here. We do not charge for this it is our personal opinion that this is unnecessary and our aim to help of the greatest priority. Should you be okay then we will add you to our waiting list. 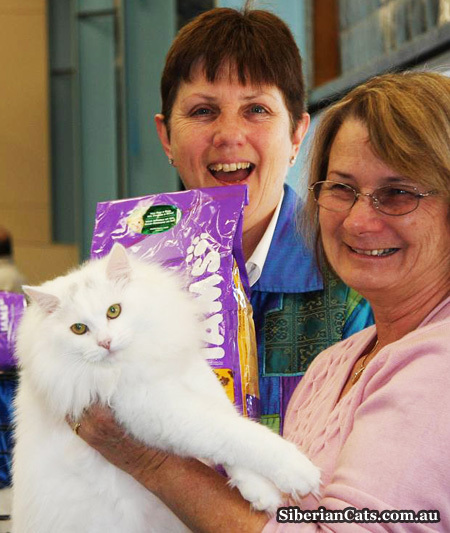 Our Cattery is located in Brisbane, on the lower end of the north coast and a forty minute drive from the center of Brisbane. We are registered with MBRC and also register all of our cats with QFA Inc. Having been involved in the cat world I am the current Vice president to QFA Inc and am also treasurer for the Semi longhair cat club the President of the Birman club. Both clubs hold annual shows in Brisbane where we can show case our cats and we encourage people to visit us and meet our cats.